In 2015, there were 5,205 adult overseas registrations in Aberdeen and 1,726 in Aberdeenshire, providing a vital boost to the labour market. Last year, however, the number had plummeted to 2,942 and 1,000 – drops of 43% and 42% respectively – according to statistics from the Department for Work and Pensions (DWP). The north-east is particularly reliant on migrant labour with the oil, agriculture, fishing and hospitality sectors having a large proportion of their workforces from overseas. 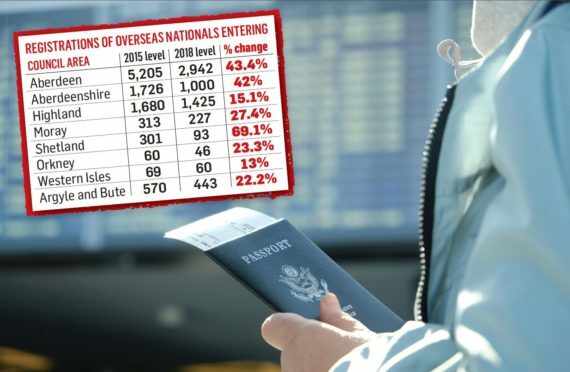 Nationally, the statistics show an 18% drop in the number of National Insurance registrations by overseas workers coming to Scotland between 2015 and 2018. Concerns around the sustainability of the workforce across the north of Scotland – and in Aberdeen and Aberdeenshire in particular – were previously brought to light in a Scottish Government paper that reported Aberdeen will face economic shock and possible loss of businesses. The report noted that 12% of the workforce in Aberdeen City Council is made up of EU nationals. Aberdeen Central MSP Kevin Stewart last night said put the drop down to the UK government’s “narrow-minded Brexit rhetoric”. He claimed it was dissuading potential immigrants from choosing to make a life in the north-east. And he said he feared for firms and social services if the numbers don’t pick up. 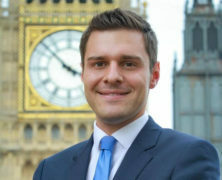 Prominent Brexiteer Ross Thomson – the Conservative MP for Aberdeen South – however accused Mr Stewart of “complete disregard” for the oil downturn and said fewer foreign workers were coming to work in the industry. With an aging population, all of Scotland’s population growth over the next 25 years is projected to come from migration – in stark contrast to the rest of the UK where the working age population is expected to grow. Mr Stewart said: “The UK government’s handling of Brexit and hostile approach to migration is failing Aberdeen and Scotland. “As a city we rely on an international workforce and the fact the number of people coming to work here has dipped so drastically following the Brexit vote is alarming. “The Tories’ anti-immigrant obsession and narrow-minded Brexit rhetoric is driving people away from Scotland, putting our economy and vital public services on the line. 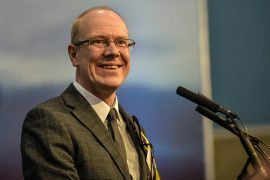 “The simple fact is that without inward migration our working-age population will decline, meaning it’s harder to fund vital public services like hospitals and schools in the future. “Independent research has already shown that Aberdeen is set to the be the city hardest hit by Brexit, but this stands as a real wake up call. “It is absolutely clear that Scotland needs power over immigration so we can match our country’s economic ambition. Mr Thomson’s alternative view is that Brexit will in fact open up the jobs market to workers from around the globe. He said: “Kevin Stewart appears to have completely disregarded the fact that Aberdeen is only just emerging from a major economic downturn. “Many jobs have been lost and unfortunately, fewer people have come here. It suits the SNP to blame it all on Brexit, but it just doesn’t stand up. Only time will tell which politician is correct, but last night Adrian Gomes, founder of catering group Ten Dollar Shake which operates The Tippling House in Aberdeen, said he believes hospitality will be hit hard by a lack of workers. He said: “The decline in foreign nationals coming to Aberdeen is a huge concern to the hospitality. “More than 60% of our team are non-British nationals and we rely heavily on these team members for both our kitchen and front of house operations. “These statistics are very worrying and the impending Brexit doom is only going to make matters worse. “Scotland has always been a welcoming nation and the city and shire has offered fantastic opportunities in all sectors to overseas nationals. But the government have said their white paper aimed to raise wages and productivity across the UK which would help “attract the talented workers we need”. A spokeswoman said that there would be specific plans in place for seasonal workers- which are especially important to the farming sector.